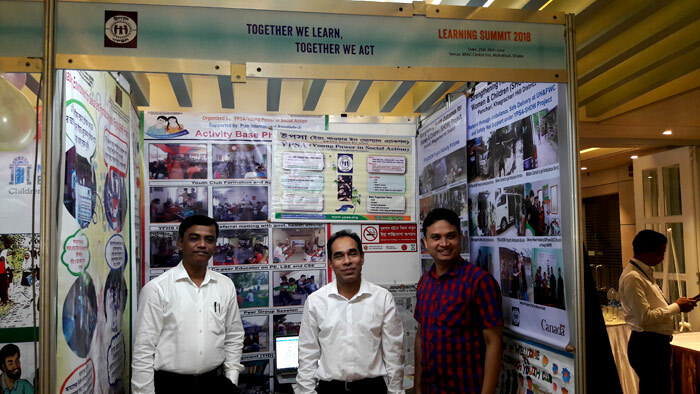 “TOGETHER WE LEARN, TOGETHER WE ACT” Theme of Learning Summit 2018 organized by Plan International Bangladesh at BRAC Centre Inn, Mohakhali, Dhaka on 25-26 June 2018. YPSA is the proud partner of Plan International Bangladesh. 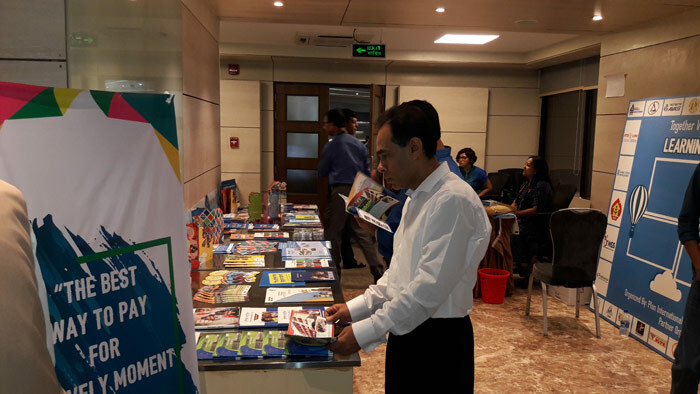 Along with others 20 partner organizations, YPSA participated in this great show with a stall well decorated with best practices, learning, publications and IEC materials. Annual outcome monitoring findings sharing, reflection and discussion for short term and long term actions for understanding the progress across strategic objectives, extract learning and identify actions for improvement. Learning exchange through visiting stall and get idea about innovative works of partner organizations for Cross learning among organizations and 3 parallel sessions on youth economic and social empowerment, adolescent sexual and reproductive health rights and gender transformative disaster risk management through Learning sharing among organizations and actors in these three thematic areas to Gain learning and new knowledge and get ideas to develop new concepts to work for sustainable impact in the lives of children and youth. Transformation journey through Welcome and sharing flowchart of the session, Learning towards gender transformation organizations (different perspective of promoting gender equality in organizational culture and practice from feminist organization, telecommunication company, sexual minority rights organization and women and girls rights organization), Youths understanding on gender transformation, Gender Transformation for Plan International Bangladesh, Reflection from audience to get an understanding of organizational transformation towards promoting gender equality and inclusiveness in organizational culture and practice. Transformation journey through Share gender analysis findings of projects, Wall Café to share learning from gender analysis exercise, Reflection and feedback to Increase understanding about the analysis findings and the priority areas where we should focus on gender transformation. Way forward & knowledge management within network through Stock taking on key learning derived from the sessions, Discuss how the learning can be used for programme development, rectifications and scale up to Identification of actions based on learning for next project cycle and beyond, Discussion in group and come up with ideas on knowledge management within network to have an agreement on how to develop knowledge management within the network. Overall this Learning summit 2018 was a great arrangement truly learning together and act together. All the participating partner ogranizations as well as persons got a holistic learning for the humanity development activities. 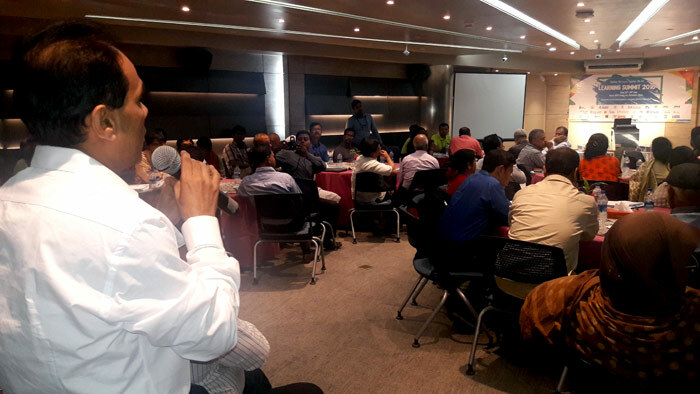 YPSA got an understanding that journey towards transformation has started with Plan International Bangladesh.